Choice of sending options makes email marketing easier! 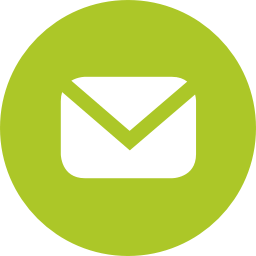 Your flexible email marketing software SmartSerialMail offers - depending on the edition you chose - a wide range of sending options, facilitating easy sending of your e-blast. Your newsletter is ready, the sending process has started. So whatever you do, don't touch the email marketing software, or else... But stop - it doesn't have to be that way! While SmartSerialMail delivers your emails in the background you are free to continue to work on the next mailing. Your colleagues manage address lists while you design the next newsletter - nothing will disturb the sending process. A tray-icon keeps you up to date about the status of delivery and informs you when all emails have been sent. Many email providers limit the number of emails you may send. Your provider's sending limit is 20 emails per five minute-interval? Simply tell SmartSerialMail Enterprise Edition to adhere to this rule. Your provider has placed a limit on how many emails you may send out per day? SmartSerialMail will stop sending out emails once a predefined limit is reached. It's the perfect solution: your emails get delivered, your provider won't notice anything out of the ordinary and your network carries a lighter load, since no continues data flow is created. This feature is available in both the Small Business and the Enterprise Edition. You choose when to send! It's Friday and the newsletter is ready, now it's time to deliver it. You're a sales-pro, so you know that nobody reads business newsletters on a weekend. Mondays are difficult as well, since emails will have piled up. To best reach your customers you decide to send on Tuesday morning. You make a note of it and get to the office earlier to start the sending operation - or you simply use SmartSerialMail. With the SmartSerialMail Enterprise Edition you alone decide when your email is delivered. You schedule the start of the sending process For Tuesday, 05:30 am and spend a relaxing weekend. The following Tuesday morning your newsletter arrives in emptied inboxes. Sending newsletters without an email account? That's how it's done! Usually your colleague from the marketing department sends out the e-blast, but hes not in today and you are taking over. Do you need access to the marketing-account on your machine? No! Thanks to the SmartSerialMail Enterprise Edition you can send emails directly from your desktop, whether an account has been installed or not. Use the Enterprise Edition to save emails als EML files to e.g. send them with the help of a Pickup Folder. Due to privacy regulations, you cannot access the "Human Ressources" folder directly, but you need to send emails to all colleagues from time to time. You create the emails in SmartSerialMail and save them in the EML format, then move them to the Pickup Folder your admin created for you. The Exchange Server accesses the folder and sends your emails using the Human Ressources profile settings. Sending emails at a later date with MS Outlook can be accomplished just as easily. Simply move the EML files via drag and drop to the outbox, Outlook will send them using the local profile settings.